Baby shower favor ideas ... from elegant and classic, to trendy and chic, we've put together a super collection of favor gifts and ideas. Also included are easy homemade baby shower favor ideas for inexpensive baby shower favors you can make yourself. 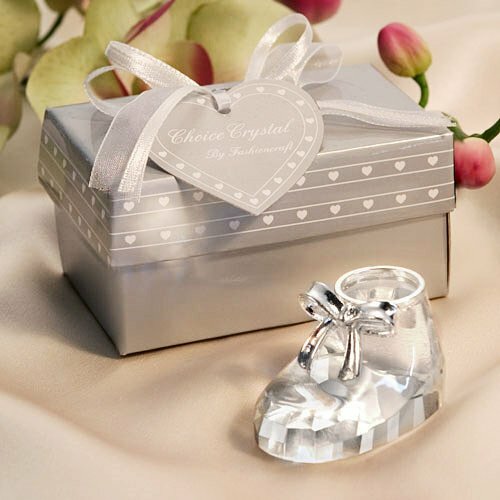 When deciding which baby shower favors to use, select a memorable favor gift that's theme related to thank your guests for joining you on your special day! 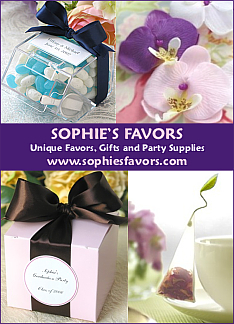 Devote some quality time in choosing the perfect favors for your guests. Be sure to see The Finishing Touches ... at the bottom of this page for beautifully finished, professional looking inexpensive baby shower favors that will impress your guests! 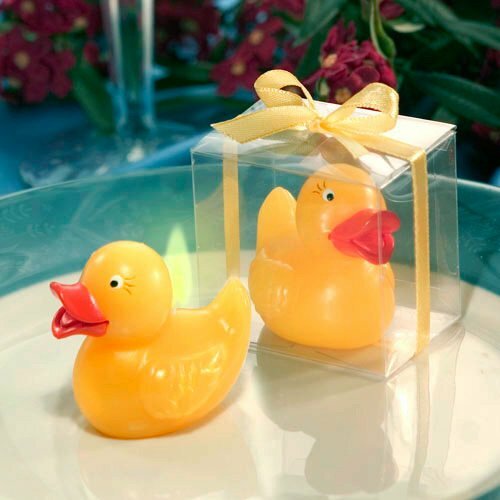 Ducky Favors, Gift Sets and More! Make Your Guests Feel Special Too! Make your guests feel special too with our Fun variety of candles, bookmarks, water bottles, porcelain, baby shower candy favors and much more below! Looking For Some Easy Ideas? Are you feeling creative? Want to try making baby shower favors on your own? For some quick and easy awesome DIY baby shower favors, gifts and ideas ... Homemade Baby Shower Favors ... Add your own personal touch and create inexpensive baby shower favors. Visit our SaccoBambino store at Zazzle for more unique Sacco Bambino Artwork designs you can customize and personalize to make awesome and fun, unique baby shower favors. 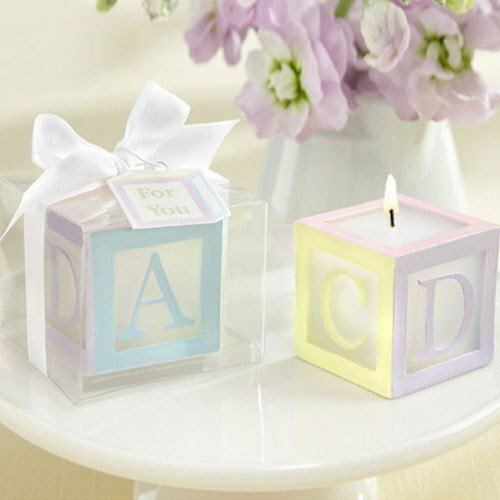 Discover thousands of unique baby shower favor ideas at Zazzle.com. Your options are limitless ... add your own text, your own photo image or artwork. It's Fun and Easy! If so, go to our Baby Boy Shower Favors and our Baby Girl Shower Favors for some "handsome blue" and "pretty in pink" adorable ideas. definitely want to take home. Baby Shower Bookmark Favors are perfect take home gifts for your guests and a great favor idea for The Baby Book Shower. Here's another cool favor idea. Personalized water bottle labels ... refresh your guests in style. A definite must have for Sizzling Pool Party Ideas at your Summer Baby Shower. Find lots more Summer Baby Shower Favors that your guests will love. These personalized baby shower candy jars are adorable. These are perfect for any Special Themed or even Holiday baby shower favors. Fill them with your favorite flavor candy. on our Baby Shower Candy page. we found these baby shower cookie favors and baby shower candy favors that your guests will love. Fortune Cookie Favors, Candy, Elegant Favor Gifts and much more to make inexpensive baby shower favors. Check out Top Baby Shower Favors Under $2! for more baby shower favor ideas. This exquisite collection of baby shower favor ideas will be sure to impress You and your guests. These Choice Crystal Pacifiers are beautiful and so very elegant. See Serendipity's entire Favors Gifts Collection. Tip: Use your favors as decorations and invite your guests to take one as they leave. Go to Baby Shower Decoration Ideas to get your creative wheels spinning!